You all know I love brass home decor, but I don't love brass fixtures, especially lights. The outside of my home had the grossest brass light fixtures. I mean gross. BUT, I really loved their shape. So I took a trick from my own book and spray painted them like I did the lights at my previous home. I think the final result is pretty fantastic. What do you think? 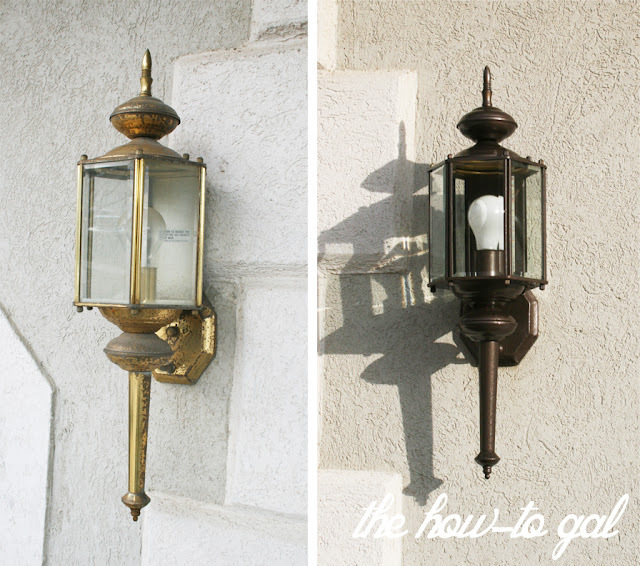 Step One: Dismantle your light fixture. I took mine off the wall as much as I could and left the part connected to the wires there. I'm no electrician! Did n't want to mess with that. Step Three: Spray paint the pieces. I used Rustoleum's Hammered Metal spray paint in brown. Step Four: Remove the tape and put your lights back together! 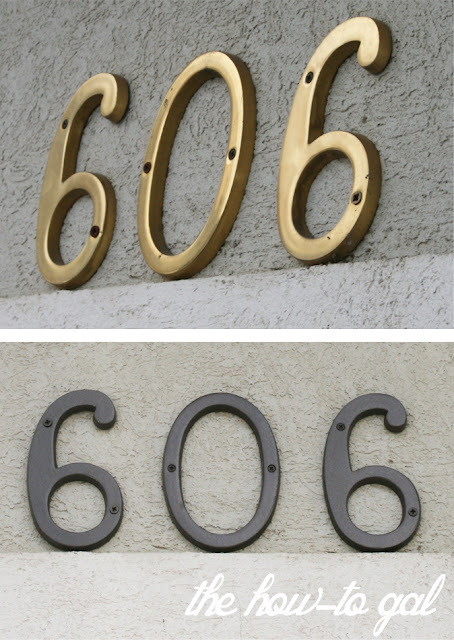 And, because there was more paint and I wanted everything to match, I sprayed my numbers, too. Because the numbers were screwed onto the wall, I simply removed them, sprayed them and reattached them when dry. Pretty awesome what a few coats of paint will do, right? P.S. All of the winners from last week's giveaways have been contacted! 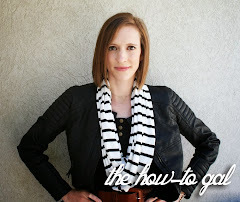 Congratulations to everyone and thank you for helping me celebrate FOUR years blogging at The How-To Gal!! Is 'Hammered Metal' the color of the spray paint? Sevina, it is the type of spray paint. I've updated the post with a link to the product on Rustoleum's website. Here it is for you http://www.rustoleum.com/CBGProduct.asp?pid=180. It is really awesome stuff. I love it. I love how it looks. So much more chic than the origional metal.